BJJ is a grappling style that grew out of judo. It emphasises fighting on the ground, specifically how to reach a controlling position, then finishing with a choke or joint lock (there are no strikes). Sparring is a major part of training, and ranking is normally based on performance. BJJ has been around since roughly 1925, but only started to significantly expand outside of Brazil after Royce Gracie’s victories in the early Ultimate Fighting Championship events during the mid 1990s. Is BJJ suitable for me? Yes! There are no restrictions on who can train Brazilian jiu jitsu: at Artemis BJJ we welcome everybody, no matter your gender, age, sexuality or physical ability. We have had the privilege of sharing a mat with a gentleman in his 80s, another training partner who had lost a leg, and we know a woman in her 60s who is a BJJ black belt. Brazilian jiu jitsu is a versatile martial art which can be adapted to your needs: the first week is free, so you have nothing to lose. Should I get fitter before training in BJJ? Getting fitter is always a good thing, but it isn’t necessary to start training BJJ, just jump right in! BJJ is an effective and fun way to get in shape, with lots of success stories. For example, Jodie went from 24 stone to 16 stone in less than a year thanks to Brazilian jiu jitsu (read more about her story on her blog). If you have fitness goals, we will help you reach them. What can I expect in an average class? Each class at Artemis BJJ Bristol is currently an hour long, with optional open mat time on certain days if you want extra sparring and drilling. Class starts with a warm-up, which will normally be about 10 minutes: the aim is not an intense cardio workout, but to get your joints and muscles ready to train and avoid injury. We’ll then move into drills and technique, before getting in a few rounds of sparring. The class finishes off with stretching, again to avoid injury. Your safety is paramount. See the video below, head here for the unedited footage of a full class, or check out our BJJ videos page for more technique. Eventually, you will need a gi, which consists of a jacket and trousers (typically cotton, but others materials are becoming more common, such as hemp), designed to cope with the strain of being twisted and yanked. It also comes with a belt, to tie the jacket closed. A budget but good quality BJJ gi can be bought for £50-£60, such as the Tatami Nova (see Can’s review here) or adidas Response (review for that here). There is also the option of a cheap judogi for between £20-£30 (for example, this one), which is perfectly adequate for BJJ training. However, if you don’t have a gi yet (you can always buy a gi later, once you’ve decided you want to stick with BJJ) it is ok to start with some loose trousers and a t-shirt, or a t-shirt and shorts. Make sure that there aren’t any zips or pockets, as those could either scratch your training partners, or catch fingers and toes. Similarly, don’t wear jewellery and tie back long hair. Your first week is completely free! After that, our standard rate is an affordable £40 a month, which allows you to train as many times as you want. If you can only make it once a week, we offer a special rate of £25 per month. This may vary as we add more classes in the future, but your initial standing order rate will remain available to you as long as that s/o stays live. I’ve never trained in martial arts before: can I still attend class? 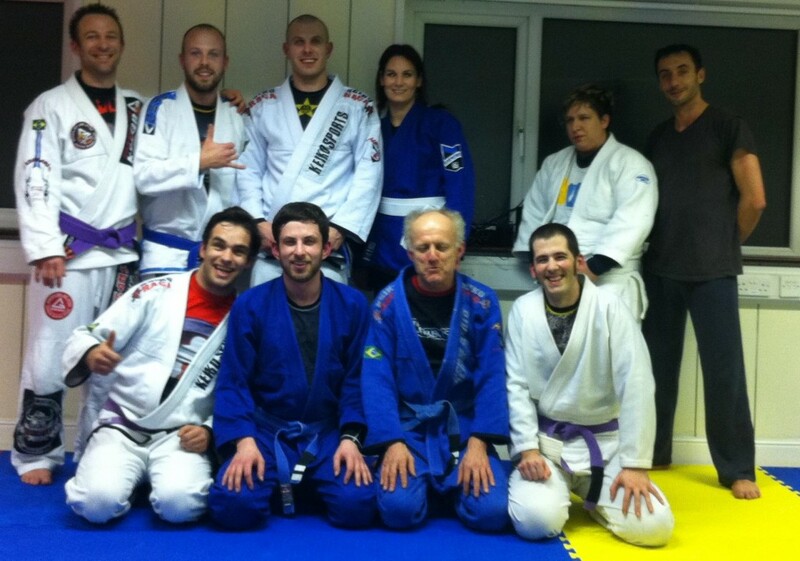 All Artemis BJJ classes are suitable for beginners, so don’t worry if you don’t have any martial arts or BJJ experience. We pride ourselves on being open and friendly, so if you have any questions before, during or after the class, we’re more than happy to help. I’m interested in competition: can I do that in BJJ? Absolutely, there is lots of opportunity to compete in BJJ. It’s entirely optional, but well worth giving a try at least once to see if you like it. There are full details of upcoming competitions and typical rules over on our Competitions page.